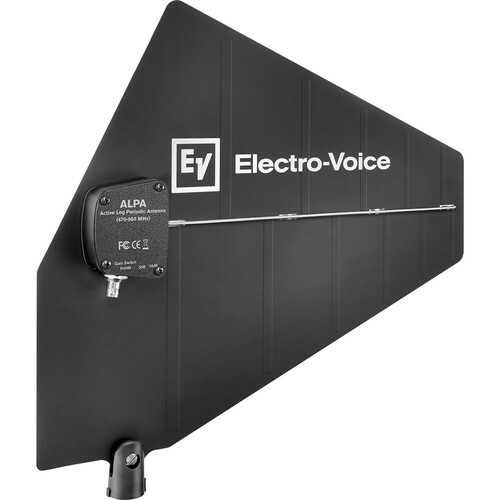 The RE3-ACC-ALPA Active Log Periodic Antenna from Electro-Voice is an active directional antenna with switchable 3 or 10 dB of amplified gain. It can be used to increase desired RF signals while rejecting unwanted RF signals when paired with an Electro-Voice wireless receiver and low-loss coax cables (sold separately). The RE3-ACC-ALPA active antenna mounts on a standard threaded microphone stand for easy placement.